I’ve started a new little family tradition (because we didn’t really have any traditions… and I thought it was about time we got us some!) So first Saturday of the month now is cheese board dinner. Easy, laid back and oh so tasty. 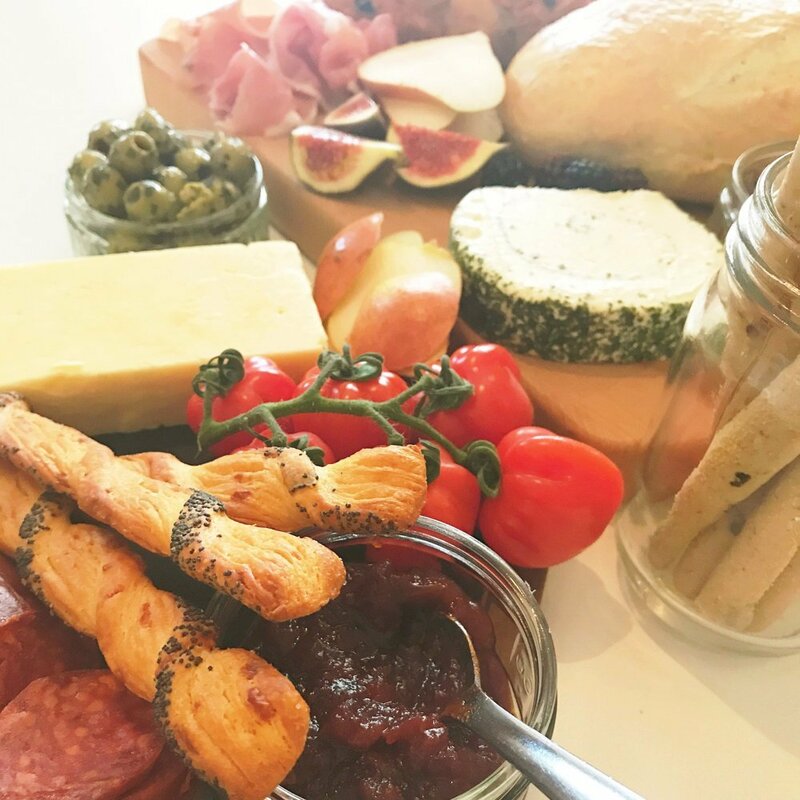 The main thing to remember when putting together a cheese board is to just fill it with stuff you LOVE, there’s no rules, just collect together the things you find totally delicious to eat. If you fancy throwing together my autumn cheese board, here’s what you’ll be needing. Just gather together all of your ingredients and display them on boards and in little dishes and arrange so it looks good. Switch the cheeses for any you like. 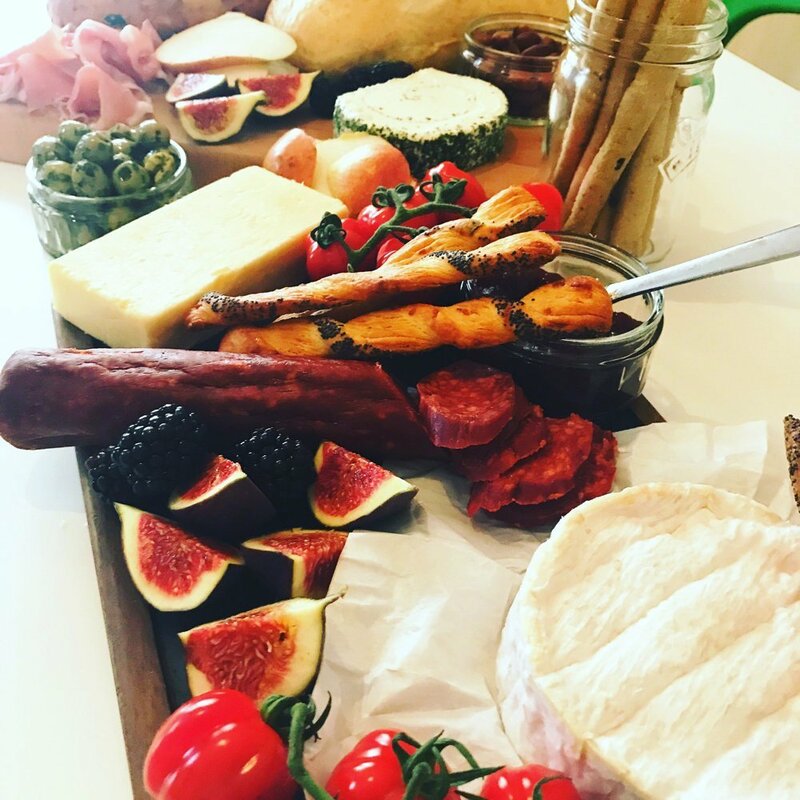 Go for a more Mediterranean style with Mozzarella, Feta, sun dried tomatoes, figs and a selection of antipasto. Go vegetarian and skip the meat, add more cheese maybe a homemade hummus too. Add some nice red wine and sparkling elderflower cordial for the kids.